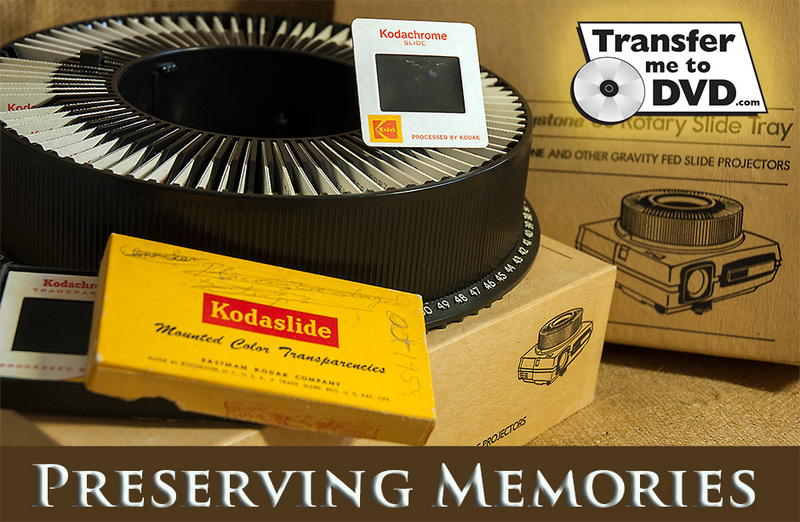 Whether we're using them to share our vacations with our friends or to make a presentation at work, slides are nearly as fragile as photo negatives and subject to all of the same damaging effects of time, dust, mildew and scratching that negatives are. Not to mention you need a slide projector and a screen to share them. Let us eliminate both concerns by transferring them to a DVD using only state of the art equipment and professionals that have been in the transferring business for over 30 years! You're guaranteed to love the results! Each DVD can hold up to 450 images and we will even color correct each picture as much as possible for you! Included is a free main title and generic easy listening music. You can add additional titles or your own personal audio at no extra charge. Free picture disc with order. 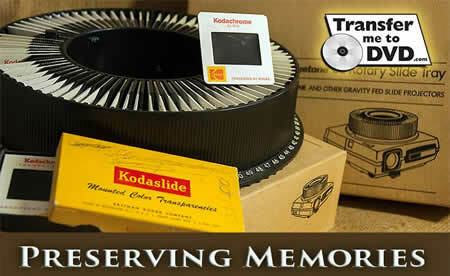 Stop in or send us your slides today to safeguard your memories from the ravages of time. Slides to DVD. The first step in our process is to clean your slides. Then we hand scan your images and color correct them. It is recommended that slides be numbered as to sequence you want. Titles, dates, names and music can be added, ask for details. You can pick your program theme and supply your own music on CD. To maximize the show program about 450 images will fit on a 2 hour DVD. Slides to CD (File/Image Disc) for review on your computer, you can review them, print them, and email to friends. Images are color corrected and reframed. Unable to view your old slides? Review and sort slides, free at our store, on our light table. You can add your voice narration to your material. Picture restoration services/image corrections are available, Image reprint/enlargement services too 4x6, 5x7, 8x10 prints.